The chapel illustrated was erected in 1822, and the schools at the back in 1878 . 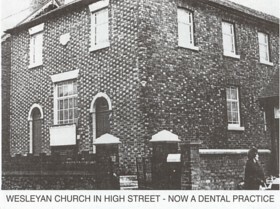 It closed for worship in April 1970, the members moving to the former PM chapel in North Street. 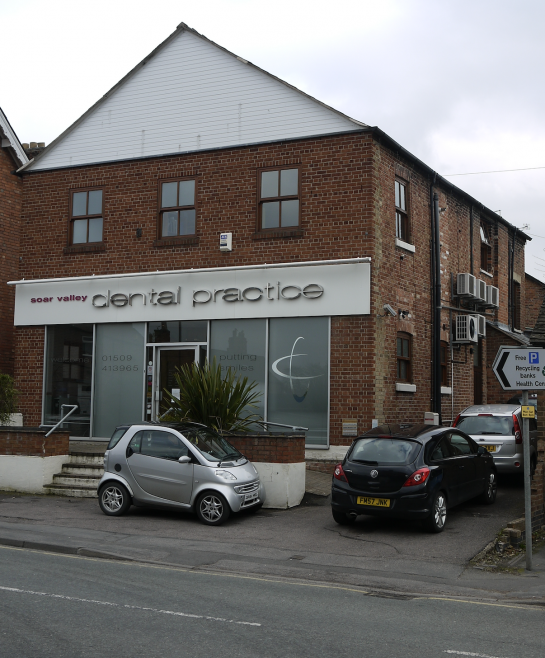 The building is still standing, being occupied by a dental practice. Myles (1812) states that the first chapel was opened in 1791. A society is listed in the June 1780 accounts of the Leicester and Nottingham Circuit . The Wesleyan Methodist Magazine of August 1822 reported that the new chapel had been opened on July 16, 1822 replacing an earlier one, now too small for the membership of 30. It was 36 feet by 30 feet, and cost £420. The chapel had 205 sittings in 1851 , 232 in 1873  and 178 in 1940 . Membership, however, tended to be numbered in the thirties, although a figure of 69 was recorded in 1846, and 81 in 1861. Nevertheless, an account of Methodism in Barrow describes a healthy congregation . When the congregation was counted for the Census on 30th March 1851 it was 42 adults and 66 Sunday School scholars in the morning, and 171 in the evening .